I recently read The Alter Ego Effect by Todd Herman and found it tremendously insightful. The book helped unlock new ideas for me as well as helped codify something I've done for a long time without ever having the words to describe it: use an alter ego. 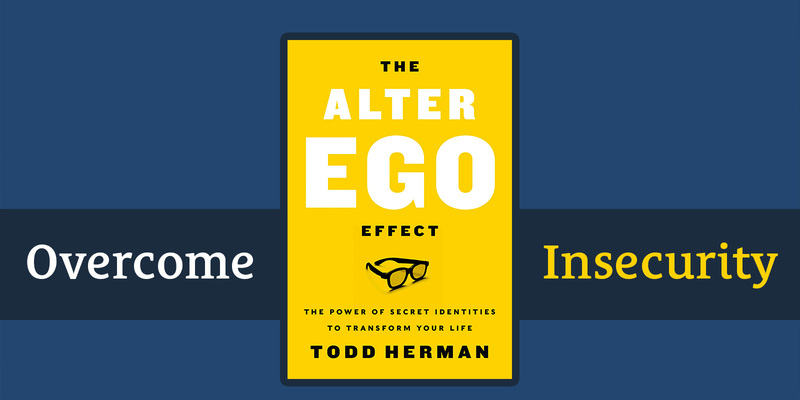 Today, I'm happy to be joined by best-selling author of The Alter Ego Effect, Todd Herman to go even deeper on the concepts discussed in the book. I had the privilege of meeting Todd in person a few years ago in New York City. His latest book teaches the methods he's used to coach top athletes for many years. Before you think "alter egos" may not be for you, Todd explains how you already use alter egos in your life—everyone does—you just may not be aware of it! Alter egos are incredibly powerful. We talk about how using a persona can help you do what you might otherwise feel like you aren't capable of doing. We discuss certain methods for unlocking hidden potential by activating a persona. We also discuss how to create your persona along with "activation" techniques for embodying that persona to increase your performance in business and in life. If you still aren't sure about the whole "alter ego" idea, Todd explains science now shows it's people who see themselves as a single self have the most mental health issues. Yes, single self! He talks about why we should embrace the the many selves we actually are. Be sure to listen through the second half of the episode when the discussion really opens up. You'll learn how to overcome insecurity and combat imposter syndrome.